The Cartel Buster: Martin Abegg Jr.
Martin Abegg, Jr. is a professor of Biblical studies at Trinity Western University in British Columbia. In the late 1980s, Abegg was a doctoral candidate at Hebrew Union College in Cincinnati, studying under Ben Zion Wacholder. Chief editor of the scrolls John Strugnell had sent a copy of the secret concordance of the Dead Sea Scrolls to Wacholder. Using a computer, Abegg was able to reconstruct the texts from the concordance and, in 1991, BAR published the reconstructions, breaking the more-than-40-year-old monopoly on the scrolls. Abegg founded, at Trinity Western, the Dead Sea Scrolls Institute and is currently compiling a three-volume concordance to the official Dead Sea Scrolls publications at the request of editor-in-chief Emmanuel Tov. John Marco Allegro, called the “stone in the soup” by John Strugnell was the maverick of the Scroll publication team. He focused on open dissemination of the Scrolls and hastily published the Scrolls assigned to him. He took 3Q15, the Copper Scroll, to Manchester in 1956 in order to have it unrolled. Convinced it was an actual treasure list he would spend time later in life trying to track the treasure down. A controversial book, The Sacred Mushroom and the Cross, in which he argued that Christianity was a sect based on a hallucinogenic mushroom, ruined his career. However, he remains popular: There is a John Allegro Society and there is a new Web site with many of his photographs, writings and theories. Sources: Davies, Philip R. “Allegro, John Marco.” In Encyclopedia of the Dead Sea Scrolls, Lawrence Schiffman and James VanderKam. Oxford: Oxford University Press, 2000. Jean-Dominique Barthélemy co-edited with Father Milik the first volume of Discoveries in the Judean Desert. He published an early article on the main Isaiah scroll using the photographs of John C. Trever. His work on the Dead Sea Scrolls as well as other scrolls, such as the Dodekapropheton (Twelve Prophets scroll) found at Nahal Hever, revolutionized the study of the historical development of the Greek texts of the Bible. Sources: Briend, Jacques. “Barthélemy, Dominique.” In Lawrence Schiffman and James VanderKam, Encyclopedia of the Dead Sea Scrolls, Oxford: Oxford University Press, 2000. Sanders, James A. “Tribute to Dominique Barthélemy,” at http://rosetta.reltech.org/TC/vol07/Barthelemy2002obit.html. Accessed on May 1, 2007. Long-time professor of Rabbinic Literature at Baltimore Hebrew University, Baumgarten was the editor of the Damascus Document and the Halakhic texts from Qumran Cave 4. He holds a B.A. from Brooklyn College and a Ph.D. from Johns Hopkins University. He retired in 1993 and lives in Maryland. Magen Broshi was the curator of the Shrine of the Book from 1964 to 1994, the wing of the Israel Museum where most of the intact scrolls are housed. He was appointed to the committee that oversees the publication team. He has lead many important excavations in Israel, including the Church of the Holy Sepulchre and the habitation caves at Qumran. James H. Charlesworth is considered one of the world’s leading experts on the Dead Sea Scrolls. He is editor of The Dead Sea Scrolls and Christian Origins, Jesus and the Dead Sea Scrolls and The Dead Sea Scrolls: Graphic Concordance. He is the George L. Collord Professor of New Testament Language and Literature and director and editor of the Dead Sea Scrolls Project of Princeton Theological Seminary. Sidnie White Crawford called herself one of the “kids” of Dead Sea Scroll research in an essay in BAR, and says it was a matter of being in the right place at the right time—Harvard University studying under John Strugnell, and her advisor Frank Moore Cross. For her dissertation, Cross suggested that she work on his Deuteronomy manuscripts, which she has published. She is currently a professor of Hebrew Bible at the University of Nebraska—Lincoln and is President of the W. F. Albright Institute of Archaeology in Jerusalem, the American school for the study of the ancient Near East in Israel and the Palestinian Territories. The Doyen: Frank Moore Cross, Jr.
A young scholar with a Ph.D. in Semitic languages from Johns Hopkins University in Balitmore, where he studied under William F. Albright the great scholar of the ancient Near East, Frank Moore Cross was one of only two Americans on the original scroll-publication team. He identified thousands of fragments; all of them have now been published. Cross is widely considered a pioneer in Qumran studies. Cross was a professor at Harvard from 1957 until his retirement in 1992. He supervised more than a hundred dissertations, was curator and then director of the Harvard Semitic Museum and has published over 200 articles. As one of the only living members of the original Scrolls team, he reminisced about the discovery of the Scrolls in an interview with BAR editor Hershel Shanks for the May/June 60th anniversary of the Dead Sea Scrolls issue. Source: Ulrich, Eugene. “Cross, Frank Moore.” In Encyclopedia of the Dead Sea Scrolls, Lawrence Schiffman and James VanderKam. Oxford: Oxford University Press, 2000. 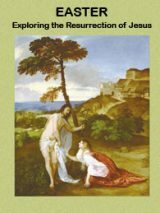 The free eBook Frank Moore Cross: Conversations with a Bible Scholar, a collection of Hershel Shanks’s five interviews with Frank Moore Cross, is a treasure. 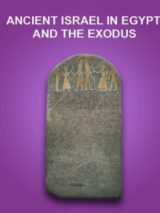 Cross discusses the Hebrew Bible, the origins of Israel, the Dead Sea Scrolls, the history of the alphabet, ancient Hebrew seals and ancient Hebrew inscriptions. Père Roland de Vaux, a Dominican priest, was the director of the École Biblique in Jerusalem, editor of the Revue biblique and president of the Palestine Archaeological Museum, or PAM; later the Rockefeller Museum) when the Dead Sea Scrolls were found. He had already conducted many important archaeological excavations, most notably at Ma’in, Abu Ghosh and Tell el-Far’ah. At the request of G. Lankester Harding, director of the Antiquities Department of Jordan, de Vaux began excavating Cave 1 at the beginning of 1949. He and his team recovered large amounts of pottery and additional scroll fragments from the cave. Throughout the 1950s, he led several expeditions to the caves near Qumran and would eventually excavate all of them and publish the results (except Cave 11). From 1951 to 1958 de Vaux excavated the site of Qumran. Although not an epigrapher, he was named editor-in-chief of the Dead Sea Scrolls publication team, serving mostly in an administrative capacity. He did, however, publish three fragments from Cave 1. He remained the editor-in-chief until he died in September of 1970. Source: Briend, Jacques. “De Vaux, Roland,” In Encyclopedia of the Dead Sea Scrolls, Lawrence Schiffman and James VanderKam. Oxford: Oxford University Press, 2000. Florentino Garcia Martinez is on the faculty of theology at the Katholieke Universiteit Leuven in Belgium. He has published widely on the Dead Sea Scrolls and the people of Qumran and is a member of the official publication team. He is considered one of the leading Scroll scholars today and is the director of the Qumran Institute for the study of the Dead Sea Scrolls at the University of Gronigen in the Netherlands. G.L. Harding was the Director of Antiquities in Jordan from 1936 to 1956. In 1948, after the creation of the State of Israel, he became responsible for the Palestine Archaeological Museum (PAM, now the Rockefeller Museum) where the Scroll fragments were stored and studied. Harding was instrumental in the creation of an international team of scholars to publish and translate the Scrolls. He also undertook the excavations at Qumran with Père De Vaux. Harding was forced out of office in 1956 due to political strife, but his service to the kingdom of Jordan was recognized upon his death in 1979 when the Jordanian government allowed his ashes to be buried there. Harding is interred at Jerash overlooking the archaeological site. Muhammed edh-Dhib Hassan (right) is credited, along with at least two other Ta’amireh Bedouin, with the discovery of the first scrolls from Cave 1. Supposedly while searching for a lost sheep or goat he threw a rock into a cave and heard the sound of breaking ceramic. When he entered the cave thinking there might be some sort of treasure inside, he found the first of the scrolls. Several people have claimed to be him throughout the years, so his true indentity is uncertain. Claus Hunno-Hunzinger was the first German scholar to join the Dead Sea Scrolls publication team. He was assigned the War Scroll and many of the papyrus fragments. He is an emeritus professor at the University of Hamburg. Jozef T. Milik, called by Time magazine “the fastest man with a fragment,” deciphered hundreds of the texts of the Dead Sea Scrolls throughout his tenure on the publication team. He started translating and publishing them in the early 1950s while a student at the Pontifical Biblical Institute in Rome. His scholarly pursuits caught the eye of Père Roland de Vaux, then director of the École Biblique et Archaeologique Francaise and co-director of the excavations of Cave 1 and Khirbet Qumran. Joining de Vaux’s team, Milik helped discover Cave 3, excavated and unearthed hundreds of fragments from Cave 4, and took part in the discovery and excavations of Caves 5 and 6. He would later become one of the most essential participants of the translation and publication team. De Vaux entrusted him with some of the most important scrolls, including the Copper Scroll (3Q15). He published more than any other scholar, yet, since he did not manage to publish the huge amount of work he was assigned, he occasionally was blamed for the 40-year lag in the publication of the scrolls. Source: Puech Emile. “Milik, Jozef T.” In Enclyclopedia of the Dead Sea Scrolls edited by Lawrence Schiffman and James VanderKam. Oxford: Oxford University Press, 2000. Father Émile Puech is Director of Research at the CNRS and is a professor at the École Biblique et archéologique française de Jérusalem. An eminent specialist on Qumran, Father Puech is France’s representative among the international group of official editors of the Dead Sea Scrolls manuscripts. He began work for one of the site’s original archeologists, Jean Starcky, in 1973 and has now fully taken over his work. In 1980, Elisha Qimron and Emmanuel Tov became the first Israelis to be appointed to the translations and publication team. Qimron, with a Ph.D. from Hebrew University, where he wrote his dissertation on the Hebrew of the Scrolls, is a leading scroll scholar. He worked on the translation of scrolls—most notably 4QMMT—with John Strugnell. In 1991, the Biblical Archaeology Society published Qimron’s reconstruction of MMT without his permission. Qimron sued for copyright infringement. The case went all the way to the Israel Supreme Court, which, in 2001, ruled in Qimron’s favor. Anthanasius Yeshue Samuel was born in Turkey on Christmas day. He received his education at St. Marks’ monastery, rising through the ranks of the priesthood until he was appointed the metropolitan of the Syrian Orthodox Church for Palestine and Jordan. He was contacted by a member of his congregation, George Shaya, about an antiquities dealer named Kando who had some scrolls that were found in the desert. George brought Kando and the Scrolls to Mar Samuel, and the metropolitan immediately recognized them as ancient. He purchased the Isaiah, Habakkuk and Genesis scrolls (1QIsaa; 1QapHab; and 1QapGen). He contacted several experts in order to have them authenticated, but it wasn’t until the spring of 1948 that he contacted the American School of Oriental Research; John C. Trever, acting director at the time, sent a picture of the scrolls to famed American scholar William F. Albright, who dated them to around 100 B.C. Mar Samuel left Israel in 1949, taking his scrolls with him. He tried in vain to sell them to a few American universities, such as Yale, but to no avail. Finally, in desperation, he placed an ad in The Wall Street Journal on June 1, 1954, listing the “Four Dead Sea Scrolls” for sale. Several American journalists thought that the sale of the scrolls might make a good story, and word spread until it reached the ear of Avraham Harman, the Israeli counsel-general in New York. He contacted Yigael Yadin, who was in the United States on a lecture tour. They two men knew that if word got out that the State of Israel was attempting purchase, it might cause some controversy, so clandestine arrangements were made and Yadin managed to purchase the scrolls for $250,000 for Israel. Unfortunately for Mar Samuel, the IRS looked upon it as a taxable sale even though he was selling them on behalf of his church, and most of the proceeds went to the U.S. government. Mar Samuel remained in the United States, and was eventually named the first Archbishop of the Syrian Orthodox Archdiocese of the United States and Canada. He died on the Orthodox Palm Sunday in 1995. Source: Breind, Jacques. “Samuel, Athanasius Yeshue” In Encyclopedia of the Dead Sea Scrolls edited by Lawrence Schiffman and James VanderKam. Oxford: Oxford University Press, 2000. James A. Sanders was a professor of intertestamental and Biblical studies at Claremont School of Theology Graduate school from 1977 to his retirement in the late 1990s. As one of the editors of the scrolls, he was the first to translate and edit the Psalm Scroll, which contained a previously unknown psalm. In 1980, he founded the Ancient Biblical Manuscript Center (ABMC) for the preservation and research of ancient and medieval Biblical scripts. Lawrence Schiffman is the Ethel and Irvin A. Edelman Professor in Hebrew and Judaic Studies at New York University. He is a member of the DSS editorial team and has published more than 150 articles on the scrolls. He is considered on of the world’s preeminent scroll scholars and an expert in Rabbinic Judaism. He is also chair of New York University’s Skirball Department of Hebrew and Judaic Studies. Kando was a Syrian Orthodox Christian from Bethlehem who lived his life as a cobbler but had an antiquities shop on the side. He later opened an antiquities shop in Jerusalem, not far from the École Biblique, to pursue that career full-time. He was one of the major intermediaries between Bedouin and Metropolitan Samuel for the purchase of the scrolls. Kadno also acted as the middleman between the Bedouin and the Department of Antiquities of Jordan for fragments from Caves 2 and 4. Knowing how valuable the scrolls were, he stashed some away for himself, most notably the Temple Scroll, which was seized from him by Yigael Yadin in June 1967. Source: Briend, Jacques, “Shahin, Khalil Iskander (Kando).” In Encyclopedia of the Dead Sea Scrolls edited by Lawrence Schiffman and James VanderKam. Oxford: Oxford University Press, 2000. In the early 1990s Shanks used his position as editor of Biblical Archaeology Review to lead the campaign for open access to the scrolls. He was joined by many scholars who had been excluded from the small publication team. A lawyer by training, Shanks is a self-taught editor and archaeology specialist; over his career he has edited four magazines and has written or edited 20 books. New York, NY — Washington, D.C.
Monsignor Patrick Skehan was appointed to the team in charge of the publication of the Scrolls in 1953. He was ordained in 1933 and graduated from the Catholic University of America in 1938 where he immediately landed a teaching position in the department of Semitic and Egyptian Languages and Literature. He was named monsignor by Pope Pius XII in recognition of his contribution to the study of scripture. He taught at Catholic until his retirement in August 1980. He was put in charge of editing and translating the Paleo-Hebrew scripts found in Cave 4 and issued preliminary publications the most significant texts in his control. He died before the final publication in the Discoveries in the Judean Desert series. Sources: Ulrich, Eugene. “Skehan, Patrick J.” In Encyclopedia of the Dead Sea Scrolls, Lawrence Schiffman and James VanderKam. Oxford: Oxford University Press, 2000. “An Inventory of the Patrick W. Skehan Papers at The American Catholic History Research Center and University Archives,” http://libraries.cua.edu/achrcua/patsk.html. Accessed May 1, 2007. Photo: The American Catholic History Research Center & University Archives, The Catholic University of America, Washington, D.C.
Jean Starcky was one of the original members of the international publication team and worked closely with Father Milik and Pere de Vaux on the initial publications of some of the scrolls. He participated in the intial classification of the fragments and published a few of the fragments from Cave 4 that had been assigned to him. Source: Puech, Émile, “Starcky, Jean.” In Lawrence Schiffman and James VanderKam, Encyclopedia of the Dead Sea Scrolls, Oxford: Oxford University Press, 2000. John Strugnell was a young Oxford graduate in 1954 when Sir Godfrey Driver, an Oxford don (professor) of Semitic philology from 1918 to 1960, nominated him to join the Scrolls editorial team. Although Strugnell had no previous experience in paleography, he learned very quickly to read the Scrolls. He would be involved in the Dead Sea Scrolls project for more than forty years, becoming the Editor in Chief in 1984 when he succeeded Pierre Benoit. He was dismissed in 1990 after a controversial interview he gave to Ha’aretz (republished in BAR in January/February 1991) that branded him an “anti-Judahite.” He attempted to clarify his views in a later interview with BAR in July/August 1994 emphasizing that his statements were meant to express his belief in the superiority of the Christian religion over Judaism, which he called “high Christology.” Strugnell’s life has been riddled with personal problems such as alcoholism and manic depression. Sources: Collins, John J. in Encyclopedia of the Dead Sea Scrolls, by Lawrence Schiffman and James VanderKam. Oxford: Oxford University Press, 2000. Who’s Who in Biblcal Studies and Archaeology, second edition. Washington, D.C.: Biblical Archaeology Society, 1993. Sukenink (PhD, Dropsie College, Philadelphia 1926) was the first archaeologist on the faculty of The Hebrew University, and as such it was his responsibility to acquire items for the collection of the National Museum of Jewish Antiquities at the university. It was his contacts from his collection activities that made the purchase of the scrolls possible. He would eventually acquire IQIsaiah and examine the scrolls in the possesion of Mar Samuel and would make the connection between the scrolls and the determination that they were written by the Essenes. Sukenik would spend the last years of his life translating and publishing commentaries on the scrolls. He also made many efforts to purchase Mar Samuel’s scrolls to no avail. He died thinking that through his failure to acquire the other scrolls “the Jewish people [had] lost a precious heritage.” However, his son, famed archaeologist Yigael Yadin, would fullfill the mission of his father. Sources: Silberman, Neil Asher. &#147Sukenik, Eleazar L.&#148 In Encyclopedia of the Dead Sea Scrolls edited by Lawrence Schiffman and James VanderKam. Oxford: Oxford University Press, 2000. Yadin, Yigael. The Message of the Scrolls, New York: Simon & Schuster, 1957. John C. Trever was the American scholar who photographed the Great Isaiah Scroll and other important Dead Sea Scroll manuscripts from Mar Samuel in Jerusalem in 1948. As a post-graduate student in war-torn Jerusalem during the fall of 1947 and the spring of 1948, Trever was literally “found” by the Dead Sea Scrolls when Syrian Orthodox clergy brought them to be evaluated at what is now the W.F. Albright Institute of Archaeological Research. Millar Burrows was the director of the school but was on a two-week excursion in Baghdad—leaving Trever as director pro tempore—when the telephone call came on February 18, 1948, that changed John Trever’s life. Scrolls in ancient Hebrew, the caller said, had been found in the library of the Syrian Orthodox Monastery in Jerusalem’s Old City. These scrolls, as we now know, were the Manual of Discipline (1QS), the Habakkuk Commentary, the Genesis Apocryphon and the Great Isaiah Scroll. Today Trever’s original negatives are housed in California at the Ancient Biblical Manuscript Center of the Claremont School of Theology, one of several colleges at which he taught. They are an irreplaceable record of the scrolls because they reflect their color and condition when first discovered. His photographs of the Great Isaiah Scroll are once again being prepared for publication as plates for the Great Isaiah Scroll edition, edited by Peter Flint and Eugene Ulrich, of the official series Discoveries in the Judaean Desert. Emanuel Tov is the J.L. Magnes Professor of Bible at Hebrew University in Jerusalem. He was appointed head of the scrolls publication team in 1990. Thirty volumes of Discoveries in the Judean Desert were published under his supervision. He also edited the electronic version published by Brill in 2006. Eugene Ulrich is a professor of Hebrew Scripture and theology at the University of Notre Dame. He is chief editor of the Biblical texts of the Dead Sea Scrolls and co-authored The Dead Sea Scrolls Bible with Martin Abegg and Peter Flint. He is also member of the translation teams of both the New Revised Standard Version of the Bible and the New American Bible. James C. VanderKam is the John A. O’Brien Professor of Theology at the University of Notre Dame. One of the world’s leading authorities on the world of Jesus and the Dead Sea Scrolls, he is the author of several books, including The Meaning of the Dead Sea Scrolls with Peter Flint, and The Encyclopedia of the Dead Sea Scrolls, with Lawrence Schiffman. VanderKam has also written widely on non-canonical books among the Dead Sea Scrolls and on the calendar used at Qumran. One of the first scholars to examine the Dead Sea Scrolls in 1947, Géza Vermes is the author of the standard English translation of the Dead Sea Scrolls. He was the first professor of Jewish studies at Oxford University, where he taught from 1965 to 1991. Vermes is also a world-renowned expert on the historical Jesus. Sukenik had obtained only three of the seven major scrolls, however. The other four found their way to America, where the Metropolitan Mar Samuel tried to sell them. This proved more difficult than the Metropolitan had anticipated. Eventually, he placed a classified ad in July 1954 in The Wall Street Journal. Yadin was in the United States on a lecture tour when Avraham Harman, the Israel consul-general in New York, called the ad to Yadin’s attention. Through intermediaries Yadin arranged to purchase the scrolls for the State of Israel for $250,000, thus completing the task his father had started. Today the seven scrolls are housed in the Shrine of the Book of the Israel Museum in Jerusalem. Yadin himself edited two of the seven scrolls, the War Scroll and the Genesis Apocryphon Scroll. His last contribution the the study of the Dead Sea Scrolls was his work on the Temple Scroll , which he seized from antiquities dealer Kando in June of 1967. Yadin was more than a famed archaeologist, he was a military hero and a statesman, rising to Deputy Prime Minister of Israel. Yigael Yadin died of a heart attack on June 28, 1984 at the age of 67. Hershel Shanks, “Yigael Yadin 1917–1984,” BAR, September/October 1984. Neil Asher Silberman, “Yadin, Yigael,” in Lawrence Schiffman and James VanderKam, eds., Enclyclopedia of the Dead Sea Scrolls (Oxford: Oxford University Press, 2000). Neil Asher Silberman, A Prophet from Amongst You: The Life of Yigael Yadin: Soldier, Scholar, and Mythmaker of Modern Israel (Boston: Addison Wesley, 1993). Yigael Yadin, The Message of the Scrolls (New York: Simon and Schuster, 1957). Why does Hugh Schonfield’s online information claim he was adead sea scholar? Was he or wasn’t he? Is anyone able to tell me who is the Dead Sea Scrolls translator “GMT” is, mentioned in the following footnote quote? Just an update. Vermes passed away May 8.